Michael Jordan has been off the NBA court for nearly 17 years, when he earned a record $33.1 million in 1997-1998. That marked the highest single-season salary in NBA history, with only Kobe Bryant ever breaking the $30 million barrier and last season’s highest-paid player (also Kobe) barely coming within $10 million of MJ’s salary from nearly two decades before. What makes this statistic so fascinating is that Michael Jordan made more money in 2014 than he did in his entire NBA career, combined. 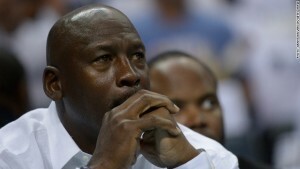 PBS Newshour reported MJ brought in $100 million last year from his Nike, Jumpman and Air Jordan royalties. 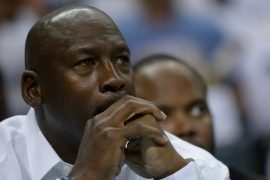 In his NBA career combined, Jordan made between $91 and $94 million on the court (the numbers vary depending on the source, but are clearly less than the reported $100 million in shoe/apparel money). To figure out who earned more in modern dollars than less valuable dollars in a different sports landscape is always a fun, if frivolous exercise. This year, Alex Rodriguez will make about $46,000 per at-bat. In his prime, Mickey Mantle earned $65,000 for an entire season. That’s just a product of the changing times (and inflation) though. Snow White brought in $8 million in its original theatrical release but is considered one of the top-10 earning films of all time because of various re-releases and the fact that the cost of a movie ticket today probably could have bought you a nice little one-bedroom back in 1938. But the MJ thing is different. 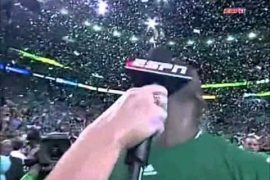 He’s still the highest paid player in NBA history over a single season! In his final two years with the Bulls, he earned $66.3 million. No one in NBA history has ever come close to either. 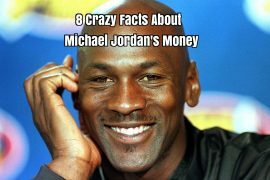 Yet he still makes more money off the court and that’s for two reasons: While MJ made that $66.3 million in his last two seasons, he “only” made about $30 million in his 13 other NBA seasons. Also, people love sneakers. They just do. It’s crazy how much people love sneakers. I don’t get it but, hey, to each their own.